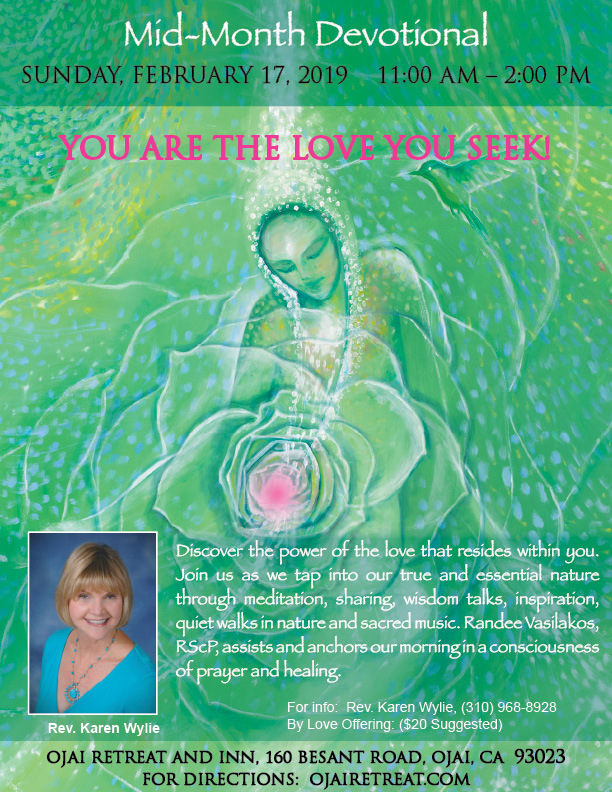 “Discover the power of the love that resides within you,” Rev. Karen says. “Join us as we tap into our true and essential nature through meditation, sharing, wisdom talks, inspiration, quiet walks in nature and sacred music.” Randee Vasilakos, RScP, assists and will anchor the morning in a consciousness of prayer and healing. The Ojai Retreat is at 160 Besant Road, Ojai. People of all faiths and traditions, or no tradition, are welcome to attend. The retreat is by donation; $20 is suggested. For more information, contact Rev. Karen at 310-968-8928, or register online at www.karenswylie.com. Rev. 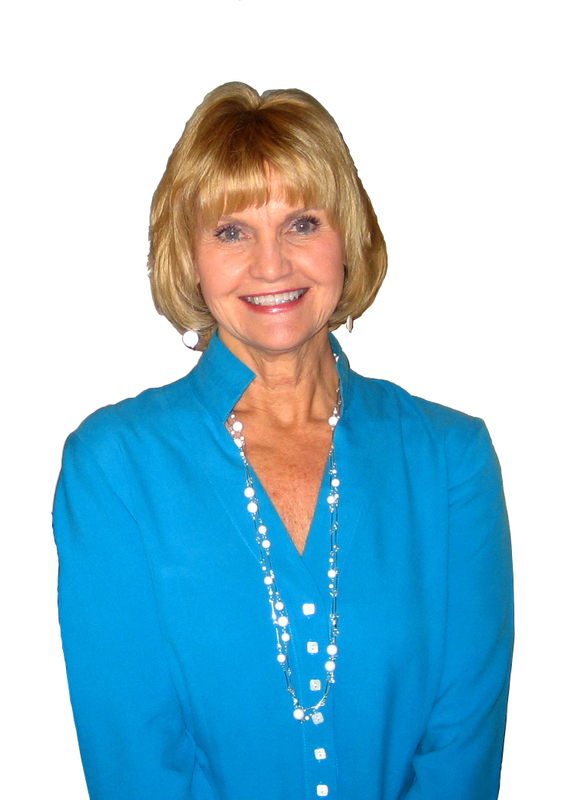 Karen is the author of Into Me See: A Book for Daily Inspiration, available on Amazon and her website.